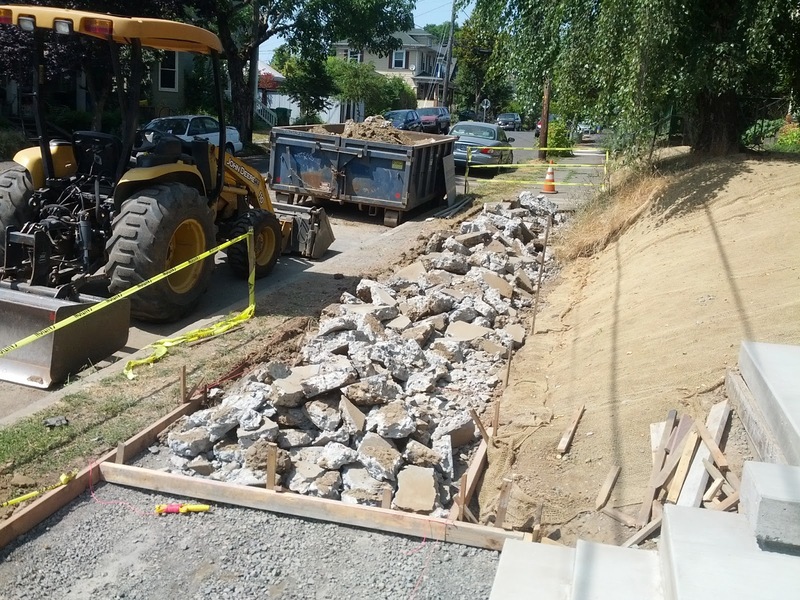 Hadn't planned to replace this sidewalk, but the City of Portland decided otherwise. A routine inspection of the driveway curb-cut pour scheduled for tomorrow was used as an opportunity to tag the rest of the sidewalk as non-compliant. Hadn't planned to spend the day in the hot sun with a jackhammer,, and another tomorrow putting this in a dumpster, nor did we budget for this. Did I mention something earlier about "the longest yard"?